Marvel’s Cloak & Dagger continues to further the individual character stories while starting to show how different elements are connected. A large part of this show is the connection between Tandy and Tyrone. It started when they were children and is only now affecting their lives in a big way. This episode starts to show us that connections exist between all of the major elements and that the mysterious Roxxon corporation might be at the centre of it all. For Tandy it’s all about the Roxxon corporation because they took her father from her and she needs some form of closure on that. Since the previous episode the desire for answers has mutated into a need for revenge. It seems that her self inflicted near death experience has altered her perspective in some way. I find this interesting because an earlier episode had her encourage Tyrone to not allow himself to be consumed by revenge so arguably Tandy now seems somewhat hypocritical since she is now looking to avenge her father by punishing those responsible. I’m not counting this as a flaw in the episode itself because it still feels consistent with what has been established about Tandy. She is still figuring herself out and recent experiences have changed her world view significantly so recognising that revenge doesn’t work for someone else while still desiring it for herself is an entirely valid mindset and sets up a lesson that Tandy has to learn about her own particular situation. This helps makes the characters more complex and shows that not all lessons will necessarily stick. 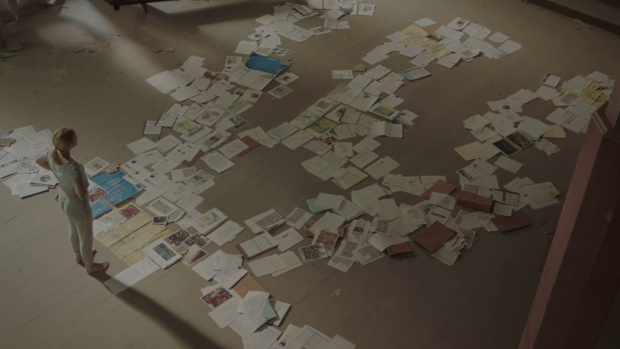 There’s more than a hint of obsession to Tandy’s methodology as shown by her filling the floor of the church she lives in with all of the evidence she has gathered so far. Having the floor filled with Roxxon shows that it’s taking all of Tandy’s focus at the moment and has completely filled her life in ways that she hasn’t quite realised at this point. This also suggests that her obsession is a bad idea because the sheer volume of the evidence shows how big Roxxon are and how dangerous it is to be on the wrong side of them. Tandy has also gained some degree of mastery over her powers following her self inflicted near death experience. She can manifest light daggers at will and is able to trigger her ability to see the hopes of others when she wants to. Naturally she wants to use this to her advantage which is something Tyrone objects to, further highlighting how differently they see the world and that there is still a lot of work to do before they can be on the same page on certain issues. Tandy’s justification for doing this makes sense for her as she feels that Roxxon has robbed her of her whole life so she has no problem with doing the same to them. It’s a fairly shallow and selfish justification but considering Tandy’s past and the overwhelming sense of loss she feels it does make a lot of sense. Tyrone reminding her that it’s very much a violation of their right to privacy makes sense for him as well especially when considering how his powers manifest. The next stage of her investigation involves infiltrating a corporate event as a hostess who are employed through being pretty girls who have a lot of followers on Instagram. This is another example of how Tandy is able to use her sexuality and gender in order to get what she wants. The fact that she’s street smart and knows how to manipulate people makes it easy to accomplish her goals because she acts in a way where nobody expects there to be anything below the surface. It’s nicely done and always clear through Olivia Holt’s performance that Tandy isn’t comfortable with playing up to established stereotypes but also sees it as necessary for her own survival. The way she sets this up strains credibility as I’m unclear on how she managed to have so many social media followers apparently overnight but on a conceptual level this is a good idea. Once again she attends a fancy event in a pretty dress and is able to move around unnoticed while being seen at the same time. She goes around touching high level Roxxon employees looking for any clue that will help identify the one responsible for her father’s death. This proves fruitless to some extent because most of these hopes involve climbing the corporate ladder though there is one person present in all of them who seems to be both hated and feared. Peter Scarborough (Wayne Péré) is definitely a solid lead for Tandy especially after she remembers him from when she was 9 years old. He’s certainly a man with a great deal of power and influence who can use that to cover things up should he want to. The fact that other employees both hate and fear him gives us a sense of what sort of an environment Roxxon is as a workplace and how corrupt the upper management is. Tandy gets the opportunity to touch Scarborough and see his hopes. They are about as terrible as they could possibly see as the vision depicts him stealing money from the corpses of his dead employees and directly drowning one who isn’t quite dead in order to gain more money. If the intention was to set him up as irredeemably corrupt then mission accomplished. It’s a very dark desire and clearly portrays him as an antagonist with undertones of him being perverted since he seems all to eager to help a girl dressed in a school uniform change a tyre. Tandy is certainly heading down a dangerous path taking on someone so obviously amoral and corrupt. Tandy using her powers so casually has unintended consequences for Tyrone. Their connection works to his detriment with his powers randomly being triggered during an important basketball game causing him to drop the ball -in one case moving it to Tandy’s location- and see the fears of everyone he touches. The latter is most interesting because it gives a brief snapshot into the minds of very minor characters that might never be seen again. Their fears include things like child abuse, disappointment and being sent to War. Naturally there’s no context for these images but it does remind us that everyone has an inner life that we may not always consider. Realising that people are more complicated than they initially appear is one of this show’s major themes so it’s good to see it explored in this way. It also gives Tyrone some important context for his own problems as he realises that he isn’t the only one battling his own inner demons. Tyrone missing the last shot of the game so that the other team can win says a lot about his morality. Throughout the game the referee makes decisions based on race and class bias. Even though Tyrone directly benefits from these decisions he understands that they aren’t made with the best of intentions and misses the last shot to show that he’s playing fair rather than benefiting from the actions of someone who doesn’t treat everyone fairly. There’s a lot thrown around about his brother in this episode from how good a player he was to how good a person he was and Tyrone decides to honour the person by letting the less fortunate team have the victory that they arguably deserve. It may put him on the wrong side of his teammates but as far as he’s concerned it’s the right thing to do even if it’s not a popular decision. Evita proves to be a great supporter of Tyrone when she immediately realises the reason behind him losing the game. It is mentioned earlier in the episode that she pays attention to him and this is reiterated when she sneaks into his room to tell him that she understands why he did what he did. I wonder if her paying attention acts as a hint to her knowing about his powers because if she is truly that observant then she may have noticed him being around when the ball disappeared and other such unexplainable occurrences. Either way she understands him and buys into his morality while also caring deeply for him. They take their relationship to the next level in an endearingly intimate moment that shows Evita to be more than a casual love interest for Tyrone. 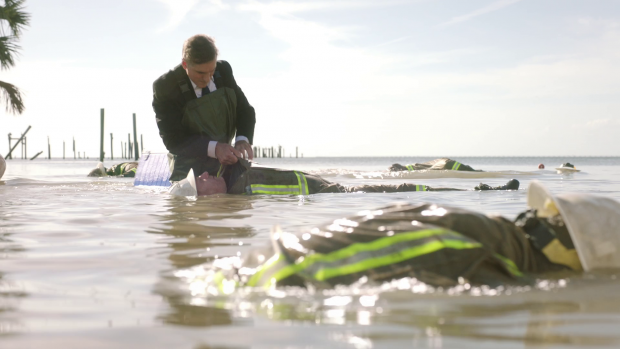 This show generally does a great job building complexity into what might otherwise be considered throwaway connections. If Tandy and Tyrone as a romantic couple is the eventual endgame which it must be then that surely suggests that every relationship predating that is disposable though the writers don’t treat them as such and it is very much appreciated. Tandy and Tyrone couldn’t be further from that sort of connection right now. The things he hears about his brother definitely resonate with him. Up until this point Tyrone has always tried to live up to the example set by his brother and feels that he has to fulfil the potential left behind by Billy as well as his own. It puts tremendous pressure on him and cuts into his own sense of identity. His conversation with his mother helps to clear that up because she points out the things that make Tyrone differ from Billy by focusing on what strengths he has that Billy didn’t. It’s parental encouragement on the surface but beneath that Tyrone realises that his mother recognises what he has accomplished and understands that he and his brother aren’t one in the same. He definitely needed to hear it and it’s a really powerful scene. Similarly his conversation with Duane (Dalon J. Holland) yields much the same result as he hears about the sort of person Billy was from someone who knew him well. It comes across as an eye opening moment for Tyrone with him getting a perspective on Billy that was unfamiliar to him. Unfortunately he also learns that Duane is involved in the New Orleans drug trade, is involved with Connors and knows that Connors killed Billy so once again it’s an example of people being more complicated than they seem. In this case it certainly isn’t a good thing as Tyrone has the perception of someone he respected shattered. O’Reilly’s investigation takes some unexpected yet fascinating turns. She is eager to bring Connors to justice though there is no evidence that he killed Billy so that is very much a dead end. Instead she decides to go after him on drug dealing which means she has to get her hands dirty in order to catch him out. She is shown to have a big picture outlook when she interviews Liam and is happy to offer him a deal in exchange for information. This is further shown in a later scene where she talks to a girl who deals drugs. She isn’t interested in the smaller dealers because she wants to get their boss which means bending a few rules and playing fast and loose with morality. In order to gain Connors’ trust she has to be seen by him doing drugs therefore showing him that she isn’t someone who will turn him in for his illicit behaviour. If he thinks that she’s a dirty cop then he is more likely to give her information that he wouldn’t otherwise divulge. All she has to do is bide her time, go along with what he wants and then make her move at the right time. It almost certainly won’t be as simple as that because Connors is clearly in collusion with some very dangerous people, has something of a following and is clearly a very smart guy so she is putting herself in a very dangerous position. So far it’s fascinating and looks to be building to a connection to Roxxon in some way. Another excellent episode that shows how the main story threads are starting to connect while still focusing on the characters. Tandy finds herself obsessed with getting to the bottom of what happened to her father and is very much driven by revenge which is exactly what she told Tyrone not to be motivated by very recently. It’s a lesson that Tandy has to learn once again and adds complexity to her as not all lessons necessarily stick with everyone. The way her investigation plays out is fascinating as it makes good use of her skills as well as her newly mastered powers to peek into people’s hopes as a way of gathering evidence. Eventually this brings her onto Peter Scarborough who is so hopelessly amoral that his hopes include drowning his own employees to make money. 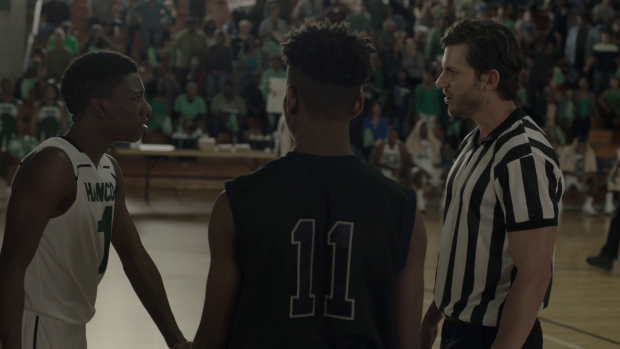 Tandy’s casual use of her powers causes Tyrone’s abilities to act up during an important basketball game which serves as a reminder of how little they understand their connection. His powers flaring up gives him insight into the fears of the opposing team ranging from child abuse to being sent off to War. It shows that everyone has an inner life we may not understand or consider al that often and reinforces the theme of people being more complex than you might initially think. His morality is reinforced when he misses the last shot on purpose because he only got to that point with the other team being treated unfairly by a bigoted referee. He also learns more about his brother and starts to claim more of his own identity when his mother points out the strengths he has that Billy didn’t Similarly the conversation he has with Billy’s friend gives him more context about the sort of man his brother was. It feeds into his decision to throw the game as he wants to honour the man his brother was. Evita notices that and understands his reasoning before they take their relationship to the next level. I like that the show treats their relationship as something other than disposable. O’Reilly’s investigation into Connors’ drug dealing is unexpected and fascinating as she is shown to be a big picture thinker who isn’t afraid to get her hands dirty. Of course this is a very dangerous game that she’s playing and it will almost certainly have dire consequences.